Shirley Thomas epitomizes integrity, energy, hard work, and creative solutions in every detail of your real estate transaction! 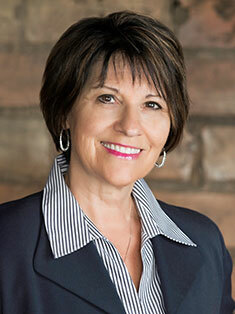 A lifelong North Dakota resident, Shirley offers clients seasoned knowledge of the Bismarck/Mandan area and has an intimate understanding of what makes each distinct residential niche so special and unique. She has been credited as a TOP PRODUCER since 2004, and is exceptionally well respected in the area not only for her unparalleled professional track record and high ethical standards but for being an honest hard working Realtor who does everything in her power to ensure her clients success! When you are making one of life’s largest investments, it's crucial to understand the facts and figures, but also have a genuine trust and extreme comfort level with the professional representing you in the transaction. I am grateful for all the amazing clients I have worked with, many of whom become my neighbors and friends! If you're a first-time home buyer or a seasoned real estate investor, you will receive top notch service from Shirley Thomas, REALTOR®!